Physical Description Jack stands tall and straight at all times. He has a command presence that only softens when he is around children or civilians. He tends to observe environments before engaging in conversation or pleasantries. He can appear foreboding until he flashes his wide smile. Not prone to casual compliments, he holds back on accolades until they are truly deserved. He is a powerful man, as befits one who takes being a marine as a calling. He has a scar on his left temple/ cheek in the shape of a comma. This gives him the appearance that his left eye is squinting. General Overview Jack is a bit of a mustang to the rest of the corps. He has strong tactical capabilities, combined with a genuine skill in handling people. That duality is the core of his main problem in life. He loves combat and tactical situation but he also loves his Marines and his family. The two are in constant opposition, something that at times makes him quite melancholy. Jack tends to run his units with efficiency and is not a harsh leader. He believes in leading by example, setting expectations and having clear and transparent repercussions for failure. He has a hard time letting his junior officers lead because he is protective and also because he believes he knows best. Most of the Marines who serve under Jack tend to appreciate him and work hard to receive his approval. Those who take his relaxed style of leadership as weakness tend to come face to face with the iron that he possesses. Ambitions Jack has followed one simple rule when it comes to his career: Do the job as best as possible until they give you a different one or someone more qualified comes along. He has no aspirations of high rank or command. He loves working with Marines at all levels and is incredibly loyal to them. He hopes to be a good father, brother and son. Personal History Jack comes from an old English family on Earth and was raised in the same small village that his father, grandfather, great grandfather and great great grandfather were born and raised in, near the English/ Welsh border. His family history has been split between those who were good with their hands, and those who were good at hitting things with their hands. Jack was the latter. As a child he resorted to violence as a swift solution to most problems. He understood that violence wasn't always the right answer but he thought that it certainly worked for him. This attitude meant that young Jack Cunningham spent more time in principle's offices, county courts and eventually in higher courts. He eventually, age 16, ended up involved in a physical altercation with a much older man that resulted in a serious head fracture. Jack was charged with a felony assault and only the interference of his Uncle Colonel Hugh Cunningham, allowed him to escape serious repercussions. His Uncle and his father sat and had a long conversation with him about his future. He could either take up his father's profession as an engineer or he could follow in his Uncle's footsteps and join the Marines. The third option, they said, was a direct boot in the behind and likely time in prison. Jack knew that he wasn't as smart as his younger brother Alexander and the idea of being a Marine, a family tradition, sounded like a life of excitement. He informed his family of his intentions and spent the next two years studying for entrance into the Annapolis Naval Academy. The day he received his acceptance letter he went out on the town and proceeded to get into a huge fight, narrowly avoiding detention by the local constables. Jack had trouble both academically and socially at the academy. His family always valued speaking the truth and questioning those who were about to make poor choices. Jack also had a strong rebellious streak and took great pleasure in proving others wrong. Academically he found himself struggling with the course work, unused to actually having to study. He was on academic warning after his first semester, only improving through rote memorization and determination. All of the school work left him little time to get into trouble, which probably saved his military career. In his second and third years at the academy, Jack started to understand the Marine systems, viewing it as a massive engineering problem to some extent. He also discovered physical training of a type he had never experienced before. His large size and strength was a huge asset in close combat competitions and he won a handful of commendations. His peers also accepted him, despite is sometimes contrarian behavior and the ability to offend people by saying what everyone else was thinking during bad situations. Jack graduated solidly in the middle of his class and shipped out to Camp Lejune for a 28 weeksof The Basic School, followed by another year as a reconnaissance scout officer. Following his training conclusion in 2384, Jack was assigned to Camp Caesar on Delta Doradus, near Romulan Space. He was a platoon leader, replacing the previous CO who had died in an excursion repelling Romulan intruders. The hot/cold situation was difficult on the crew but Jack's natural leadership style and his apparent willingness to fight his superiors when things weren't fair, quickly endeared him to his men. Jack served as platoon leader from 2384-2389, and was part of the rescue/ relief force that helped assist the Romulans after the destruction of their home world. He found himself reconsidering the growing distaste that he had developed towards Romulans in general. In 2390 he was promoted and transferred to Earth where he became an instructor at Camp Lejune and met his wife Marie. The two were married in 2391 and had their son, William, 9 months later. After a long spell as an instructor, Jack found himself up for reassignment and learned of an opportunity on the USS Pioneer. He thought the idea of his family living on Empok Nor was a great way to be on ship but have them safe. 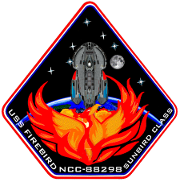 After assisting the Pioneer for a short time, he was transferred to the USS Firebird. 2384-2389 Camp Caesar, Platoon Leader. 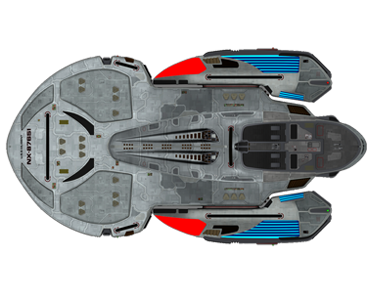 2394 Assigned to USS Pioneer, Marine CO.
2394 Reassigned to USS Firebird, Marine CO.